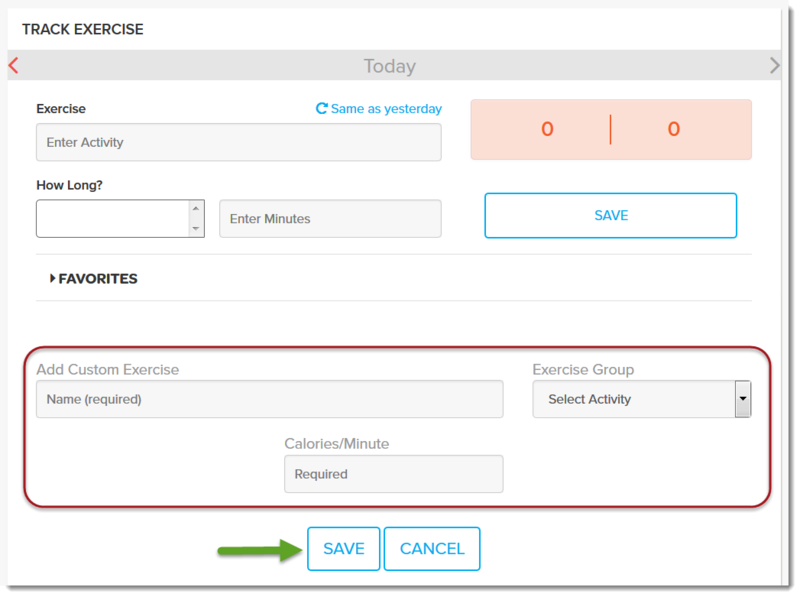 To create a custom exercise, log into your account and then click Track Activity on the dashboard. Once that information is entered click Save. 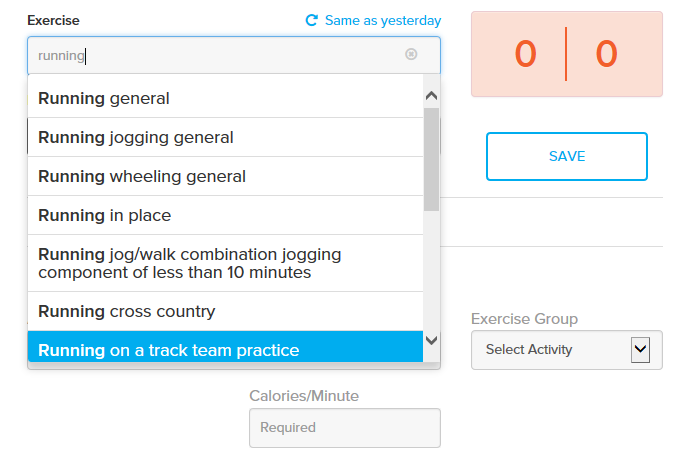 The workout should now appear among the listed exercises in the tracker. If you're not sure what the calories/minute ratio is, you can find and use an exercise most comparable to what you did and use your judgment to log a greater or shorter amount of time that you exercised to increase or decrease the total calories burned.